Emory Eye Center traces its roots to a time when the practice of ophthalmology was just beginning in the South—and in the United States. The year was 1872. In 1854, Abner W. Calhoun, the region's first eye and ear specialist came to Atlanta Medical College, which was established by his father, Andrew B. Calhoun. The college became Emory University School of Medicine in 1915. As the only scientifically trained ophthalmologist south of Maryland, Dr. Abner Calhoun was the specialist of choice for many a Southerner who had a serious eye problem before the turn of the 20th century. He served as faculty president from 1900 until 1910. He and industrialist Andrew Carnegie provided funds to construct a medical college building that later became part of Grady Memorial Hospital, still a training ground for Emory residents. From 1910 until 1940, Abner’s son, F. Phinizy Calhoun, Sr., was department chairman, earning a reputation as one of the region’s leading ophthalmologists. 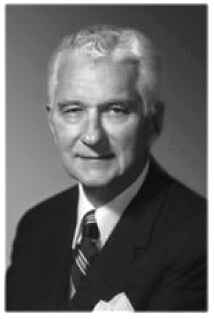 His successor, Grady Clay, developed an academic program for ophthalmology students and for eye, ear, nose and throat resident physicians. Dr. Clay served as department chairman from 1940 until 1946. In 1940, Dr. Clay and Phinizy Sr.’s son, Phinizy Calhoun, Jr., organized an ophthalmic pathology laboratory, one of only a handful of laboratories of its kind in the country. The junior Calhoun went on to serve as department chairman from 1946 until 1978. During his tenure, he helped open an eye bank to serve patients in the Southeast needing cornea transplants. The eye bank was the fifth ever established in the U.S.
Phinizy Jr. is credited with bringing modern ophthalmology to Georgia. He was the first eye doctor in the state to perform surgery under a microscope and the first in the Southeast to perform a corneal transplant. Colleagues regarded him one of the best trained ophthalmic pathologists in the country during the 1950s and 1960s, when the subspecialty was beginning to develop. During his many years at Emory, he helped train more than 100 ophthalmologists who now practice across the country. From 1988 to 2007 Thomas M. Aaberg, Sr. continued to expand that reputation, building the Emory Eye Center (EEC) to what it is today. He is highly regarded as an authority on complicated disorders of the retina. Ophthalmologists around the world use techniques and instruments Dr. Aaberg developed for surgery on the vitreous and retina. In 2007, Emory announced that Timothy W. Olsen, MD (University of Minnesota) would assume the position of new chair in January 2008. On March 14, 2016, Allen D. Beck, MD (Vanderbilt/Emory University) was appointed interim chair and director. He is William and Clara Redmond Professor of Ophthalmology and former director of the Glaucoma Section of the Emory Eye Center. "Dr. Aaberg, I think you may have just saved my vision." These are the first words of patient John Schafer after his eye patch is removed following an operation at Emory University Hospital the day before. Dr. Thomas Aaberg, former chair of the department, performed a vitrectomy on Schafer for a vitreous hemorrhage caused by diabetic retinopathy.